Discussion in 'High Definition' started by satans-sadists, Jan 26, 2019.
baggio, x666x and Katatonia like this. The transfers are supposed to have been done by AGFA, so hopefully they at least receive good encodes by Mill Creek. I'm not sure if they are doing it directly or just acting as a "distributor" for these. Hopefully more Sidaris films are forthcoming! These were fixtures of late night Cinemax in the 80's.Skin,guns and cheese. satans-sadists and Myron Breck like this. 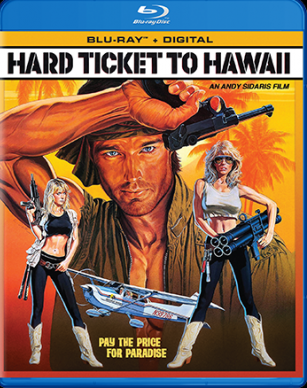 I wonder if there's any plans to release any more Andy Sidaris films. Like a boxset. Similar what they did with DVD. I think the horror is the acting in some of these movies. The waterbed actress from Nightmare on Elm Street 4 is in Hard Ticket to Hawaii though. Erick H., baggio, x666x and 1 other person like this.